I feel like there has been a major lack of pink on my blog recently bearing in mind that my previous blog name had the word pink in it! So when I was recently browsing the ASOS sale and saw that these trousers had been reduced from £30 to a shocking £9, I popped them straight into my basket and eagerly waited for my parcel to arrive the next day. I scoured Pinterest and other blogs to find inspiration on which would be the best way to wear these. 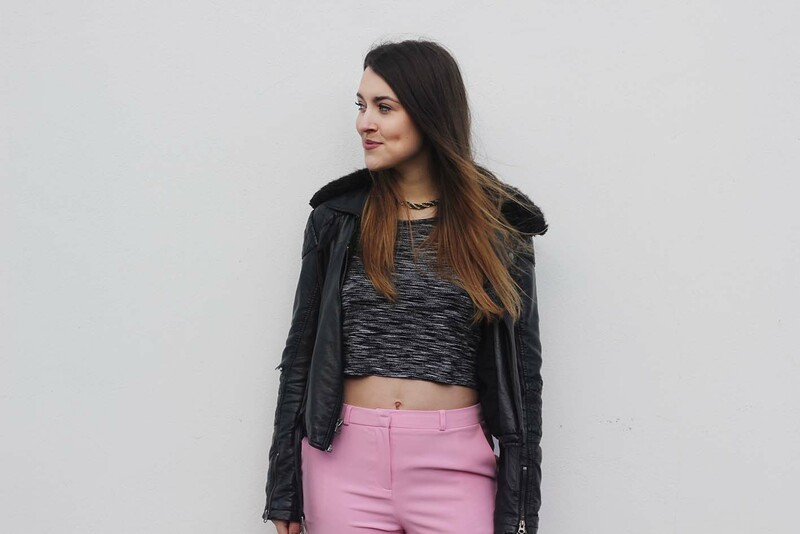 Pink trousers are not one of the easiest things to style, as looking like Miss Piggy isn’t always a strong look, (however I’m sure my mum would disagree). I suddenly remembered I had picked up these blue gingham heels from Topshop last year and immediately knew they’d go perfectly! I’m a huge fan of pairing pastel blue and pink together, so much so that I used it as one of my themes during my degree. I’ve blogged about these shoes before but I don’t ever feel like the photos do them justice as they look so gorgeous in real life. I'm also thinking about making a video of my heel collection after being inspired by Niomi's series, let me know if this is something you're interested in seeing in the future. Really cute outfit ! Love the pants so much ! Thanks, I totally understand they are a bit bold! Your heels are super cute! Thankyou, they're one of my favourites! I think these trousers are absolutely gorgeous! I also love how well paired the blue and pink are, they go together perfectly! I love blue & pink together too! Thankyou so much. You're far too kind!